How much are reputational crises related to internal cultures, and an ability (or inability) to take into account a variety of diverse viewpoints? I’ve watched over the past couple of weeks as the crisis around the Boeing 737 MAX has grown. Before that, it was Huawei and the suspicion in many Western capitals that the Chinese telecommunications firm was in a position to either spy on or act in favor of the Chinese government through sharing data collected through its network equipment. Before that, there was the McKinsey sagas in South Africa and Saudi Arabia respectively. As a communications professional, it’s been fascinating (and painful) to watch events unfold. But one thought is stuck in my mind – is there a common thread to all of these events? And is that common thread an internal culture which is neither diverse or inclusive enough to understand and tackle issues before they become crises? Let’s take Huawei, whose story has been covered in depth by a number of exceptional writers and features (check out Arun Sudhaman’s 4,000 word piece on the Holmes Report website). Huawei is a typical Chinese-headquartered multinational, with senior management being predominantly Chinese nationals. This has proved problematic for Huawei’s understanding of markets such as the US. “There was always a fundamental lack of trust in non-Chinese. You offer guidance, and are regularly second-guessed,” Huawei’s former US public and government relations department, William Plummer, told the Financial Times. Plummer published a book last September in which he explained how senior local staff in foreign markets were regularly excluded from key decisions whilst Chinese executives second-guessed senior management in local markets out of fear of the company’s founder, throwing into turmoil into the company’s handling of PR and lobbying outside of China. McKinsey admits errors in judgment while denying any illegality. Two senior partners, the firm says, bear most of the blame for what went wrong. But an investigation by The New York Times, including interviews with 16 current and former partners, found that the roots of the problem go deeper — to a changing corporate culture that opened the way for an aggressive push into more government consulting, as well as new methods of compensation. While the changes helped McKinsey nearly double in size over the last decade, they introduced more reputational risk. The firm also missed warning signs about the possible involvement of the Guptas, and only belatedly realized the insufficiency of its risk management for state-owned companies. Supervisors who might have vetoed or modified the contract were not South African and lacked the local knowledge to sense trouble ahead. And having poorly vetted its subcontractor, McKinsey was less than forthcoming when asked to explain its role in the emerging scandal. McKinsey’s former managing partner told the New York Times that the firm had a “bit of a tin ear” when it came to the initial response. David Lewis, executive director of Corruption Watch, a South African advocacy group, told the NYT that: “For the scale of the fee, they were prepared to throw caution to the wind, and maybe because they thought they couldn’t be touched.” For me, there’s the feeling that the internal culture led McKinsey to make the wrong decision and down a path that would become the biggest crisis in the firm’s history. Finally, there’s Boeing. The airline manufacturer is struggling with a crisis that has grounded worldwide its latest jet, the 737 MAX, after two crashes which share a number of similarities. The first crash happened in Indonesia last October, with the loss of 189 passengers. Following the second crash, this time in Ethiopia in March, Boeing was asked why more wasn’t done to fix the faults found to be responsible for the first crash? 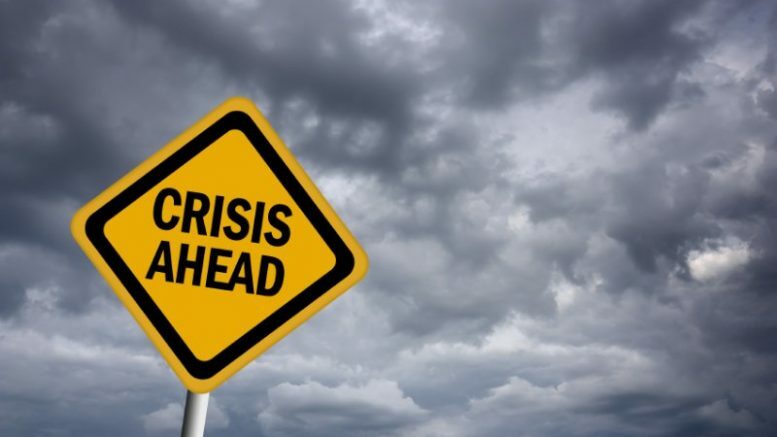 In crisis communications, the most important action is post-crisis, and communicators are told to work with the organization to ensure that lessons are learned, solutions are found, and trust is re-built. This didn’t happen with Boeing – the software fix for the plane’s flight system has yet to be completed, and relatives of those who died in the first accident have questioned Boeing’s response. Vini Wulandari, sister of one of the ill-fated Lion Air flight’s co-pilots, said that the Ethiopian crash confirmed the suspicions that she and many of the victims’ relatives had about the MAX 8 being a “defective product”. Was Boeing’s internal culture to blame, in particular Boeing’s urgent desire to come up with a new airplane that would compete head on with rival Airbus’ new models? It’s hard not to be convinced that Boeing rushed the 737 MAX’s design after reading a bombshell report in the New York Times. It’s hard not to be swayed by the argument that uncompromising internal cultures are to blame for poor decision-making; too many similar voices, too few diverse views and an inability to listen have been a cause in each of these crises. That’s why proper inclusion matters, at all levels, as well as an ability to seek out differing viewpoints, especially from outside the organization. As communicators, we have to play a role in promoting both in our workplaces. I’d love to hear your views on these crises. What’s your view? Message me, or leave a comment. Creatives, PR and Media – Where are the Gulf’s Faces to Watch? There’s many young faces to watch in the Gulf’s creative, public relations and media industries, but if you’re looking for Gulf nationals on the agency side you’ll be sorely disappointed. The industry must find ways to solve this issue of diversity and inclusion. I’ve enjoyed reading about the future of the region’s marcomms sector over the past couple of weeks in Campaign Middle East. The publication has listed the ‘ones to watch’ in the creative, public relations and media sectors. The people featured are an impressive bunch, and just reading about their abilities, potential and experiences at such a young age (they’re all 30 or under) is inspiring. I was struck, however, by one detail. I didn’t see anyone I recognized as a Gulf national. There was so much talent from countries such as Egypt and Lebanon, but no one from Saudi or the UAE. For anyone based over here, it’s probably not a surprise that there’s not enough diversity and inclusion in the marcomms industry/function, especially on the Agency side (this listing was Agency-focused). While there are Gulf nationals working agency-side, especially in Bahrain and Saudi, there’s certainly not enough. How Can We Attract More Nationals? The marcomms industry isn’t alone in struggling to attract enough young national talent – only one percent of the Emirati labor force is employed in the private sector, compared to 60 percent in government. But the landscape across the Gulf has shifted in a number of countries. Governments in Bahrain, Oman and Saudi Arabia are heavily promoting the idea of nationals applying to the private sector. More nationals are also eager to try new fields, particularly in the creative space. Here’s my suggestions on what each party must do to change perceptions and encourage diversity and inclusion. Let’s begin with the agencies and private sector firms who hire (the client side). We’ve got to break down the misconceptions and stereotypes around nationals, focusing on two key points. First, there’s the issue of work ethic; for far too long, there’s been a view that Gulf nationals don’t want to and won’t work the longer hours that the private sector asks of them (governments traditionally worked from 7 or 8am to early afternoon). Second, there’s compensation; Gulf nationals have often earned more working for the public sector. I’m not going to be naive and pretend that these issues don’t exist. In Kuwait, Qatar and the UAE there’s a high differential between private and public sector pay for nationals, as well as additional benefits such as longer vacations. However, we’ve already seen a shift in Bahrain, Oman and Saudi, where it’s common to find a national working in marketing or comms on the client side. To their credit, some agencies such as Gulf Hill and Knowlton have always looked to hire local in these markets (they had a large roster of Saudis some years back, and they’ve also hired a number of Bahrainis). In these markets governments are both telling their nationals to look towards the private sector and reducing the compensation differential. For many in the private sector, they’ve not even put in the effort to test if the old stereotypes are true. There’s nowhere near enough engagement with universities across the region, not enough internships for nationals, and little in the way of mentoring. These are low-cost activities, which both agencies and clients should be undertaking. At the very least, they need to look for local talent, so they can benefit from insights that only nationals can bring to the table. The private sector is only one half of the challenge. The other is governments. Understandably, the region has long sought to develop its own talent. The number of nationals working in the marcomms function has risen rapidly, at least on the government side. It’s understandable that many nationals, particularly in Qatar and the UAE, would want to work in the public sector – pay in these two countries is, generally speaking, much higher. Plus, there’s a preference for locals, meaning there’s less competition for positions.This has become a double-edged sword. There’s more marketing and communications jobs in government, pay is better, and there’s less competition for these roles. What this has led to is young nationals being advanced into senior roles, often when they’re not yet ready or experienced enough. If governments are serious about developing local talent, they’ve got to change this approach to public sector hiring and instead focus on long-term development, in partnership with private sector firms. This could include funded internships, either at home or abroad, as well as engagement with industry associations such as the IABC to promote certifications and long-term career mapping (I’ll share more about this soon). What’s clear is that national communicators who have worked only in one sector are missing out on all the potential learnings and development the other can offer, including the ability to work with and learn from other nationalities and culture (diversity and inclusion is also an issue on the government side). My advice for any young Gulf national is simple. Go and explore the private sector, understand the training and development it can offer you, and ensure you’ve tried every single option before you go into the public sector. If you’re after a challenge and you’re passionate about what you do, the money and position will follow. But if you want to be the very best you can be, and learn from a wider group of people from around the world, then moving into the private sector will be the best thing that you can do. Likewise, we need you. We need the industry to be more diverse and inclusive (this equally applies to the public sector, where there aren’t enough expats working today), we need your insights and knowledge, and we need your understanding of the local culture, behavioral psychology, and awareness of how the Gulf’s local communities are changing. Today, we don’t have enough of this on the agency or client side. And it’s our loss. This scenario needs to change. If you want to talk more, message me. I’m always giving my time to universities, to talk about the profession and help you understand your options. I’m happy to answer any question you may have, and point you in the right direction.